Actor Ryo Ikebe, renowned for his roles as a handsome protagonist in movies including the 1949 black and white film “Aoi Sanmyaku” (The Green Mountains), died of blood poisoning Friday at a Tokyo hospital, his family said Monday. He was 92. A son of painter Hitoshi Ikebe, he made his debut as an actor in the 1941 movie “Togyo” (fighting fish), but was forced to interrupt his acting career a year later as he was conscripted to serve in the Japanese military. After Japan’s surrender to the Allies in 1945, the Tokyo native resumed his career and rose to stardom by playing the part of protagonists in films including “Akatsuki no Dasso” (Desertion at Dawn), “Soshun” (Early Spring) and “Yukiguni” (Snow Country). 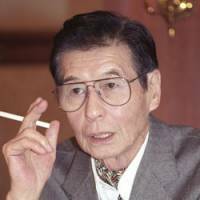 In the 1960s and 1970s, he expanded his acting range by co-starring with actor Ken Takakura in a series of yakuza movies. 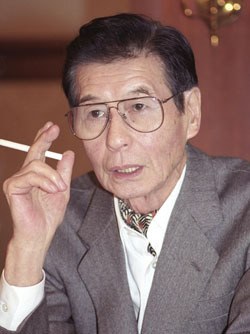 Ikebe appeared in more than 150 movies, including working with renowned directors such as Tadashi Imai and Kon Ichikawa. Ikebe, a cousin of artist Taro Okamoto, also authored a number of books.